If you are looking for a Mother's Day gift, I've got you. Pair this with a sweet note, some flowers, and maybe a spa certificate, and you will be winning it this year. 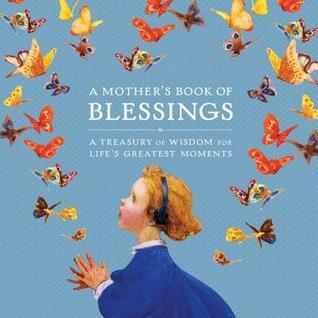 With ageless wisdom for every occasion, this elegant little book is the perfect gift for mothers looking for a little dose of enlightenment. Illustrated with exquisite vintage art, it's filled with time-honored proverbs, enriching parables, uplifting quotes, and inspiring poetry that encourage readers to contemplate and celebrate life's milestones. These illuminating words and their invaluable lessons, drawn from cultures around the world, will resonate with families from all walks of life. Whether commemorating the birth of a new baby, celebrating a graduation, a birthday, a housewarming or a special holiday, this timeless treasury provides guidance and encouragement for everyone: an enduring keepsake readers will turn to again and again. This book is another gem from National Geographic, and I'm telling you- they have the BEST gift books, aside from their travel books. You wouldn't think this would be a mine of goodness but it absolutely is and I enjoyed paging through this. Full of beautiful, and sometimes vintage like, illustrations, all 350 pages has a short poem, proverb, or thoughtful statement about the cycle of motherhood. Beginning with becoming a mother and ending with gratitude, it covers every challenging stage. Whether it's "new baby", or "travel", and every important milestone, you'll find yourself nodding along as each one speaks to a mother in a new way. This would make an excellent gift for a new mother, your mother, your grandmother, or yourself. It's thoughtful, it's beautiful, it's sweet, and it's a gentle look at motherhood and the challenges (and rewards) of being a mother in every aspect. Ooh yes, I think this would be a wonderful gifts for a few of my mom friends - great idea! Weight Loss Wednesday: Screw you, body. Happy mail in the form of: Book Boxes! 36: It's where I'm at. You've got 9 more days!